Herbie the Mousebot is an electronic kit that is used to build a cute little light following robot mouse. This little robot is sure to catch every cat's attention as it quickly chases after flashlight beams. Herbie features a surprisingly simple light chasing circuit that doesn't require any programming. 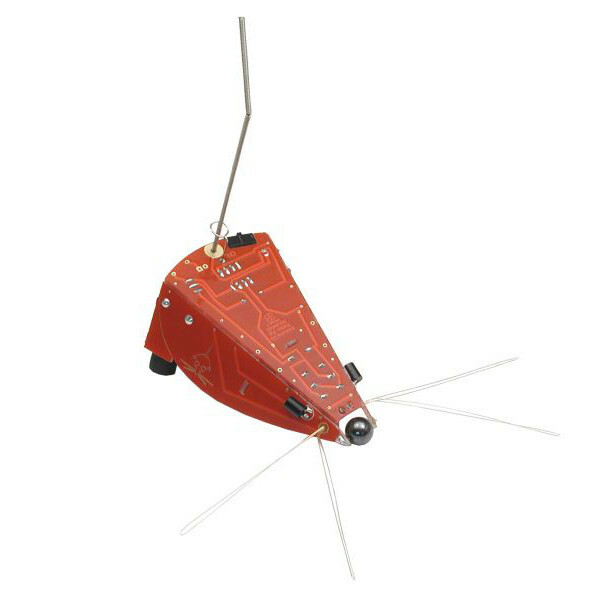 This robot mouse is very fast and features fully functional whisker and tail sensor pieces. 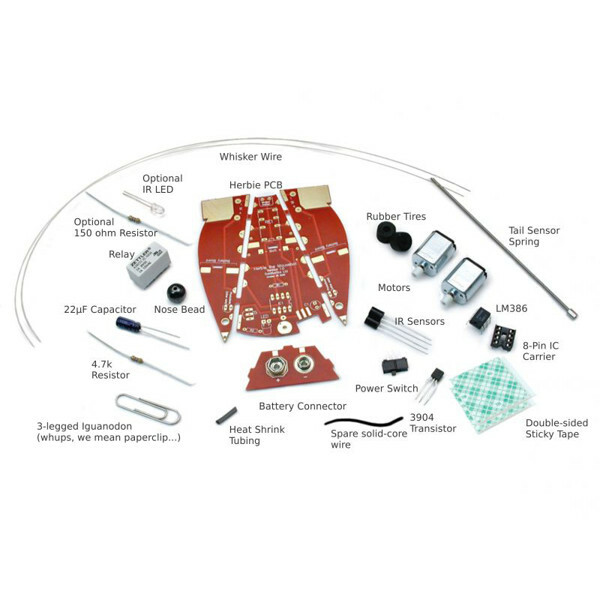 This electronic robot mouse kit requires basic soldering skills. A detailed assembly manual is included. Requires one 9V battery.